An ingenious toy for curious children, the Lock Activity Box is excellent for littlies who love to tinker and keep busy! 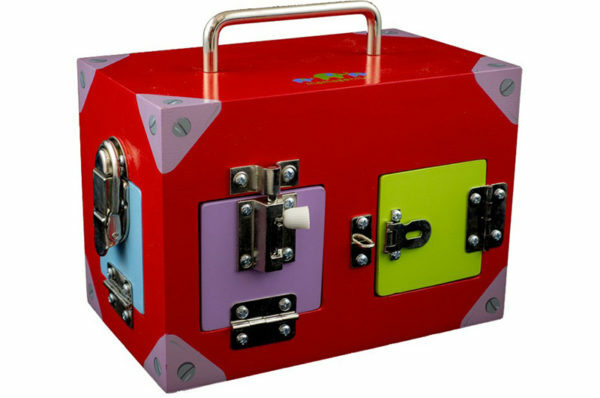 Full of lockable doors and hidey holes, the Mamagenius Lock Activity Box promises lots of opening, closing, locking and unlocking fun with easy to manoeuvre slip locks. Side note: if your keys or remote control go missing, be sure to check here. 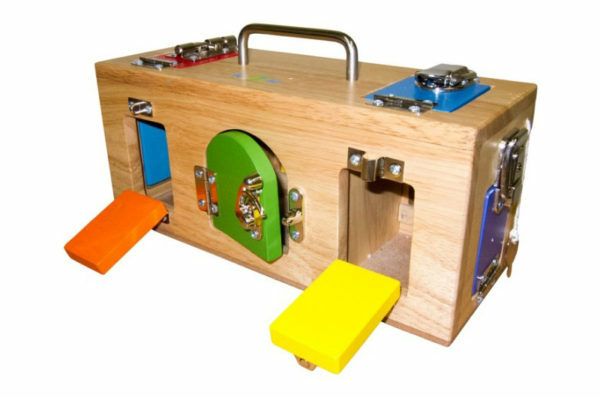 Available in two sizes, the large Lock Activity Box has 10 different coloured lockable doors, while the smaller Lock Activity Box has six. Made from solid wood, this box toy will endure almost anything your tot can throw at it. Shop both the large ($79.95) and the small ($59.95) Mamagenius Lock Activity Box at Entropy.